The award-winning opera curriculum is an important element of singer training at Lawrence and is uniquely designed with the specific needs of the undergraduate singer in mind. The curriculum is divided into technique-building classes and performance experiences using the techniques garnered in those classes, selections of which are outlined below. The classes and productions establish an environment for the student to incrementally build and hone the craft of a skilled singing actor. The Mainstage Opera is the centerpiece of the opera curriculum at Lawrence. The opera, usually sung in English, is fully staged and performed with full orchestra. The 2018-2019 mainstage opera will be Leonard Bernstein's Mass, incorporating American Sign Language to explore issues of communication, when ideological differences arise. Past productions include Le comte Ory (Count Ory), Hydrogen Jukebox, The Beggar's Opera, The Tender Land, Albert Herring, The Fairy Queen, The Bartered Bride, The Merry Wives of Windsor, Gianni Schicchi/Suor Angelica, The Magic Flute, Hansel and Gretel, Candide, L'Étoile, and Street Scene. 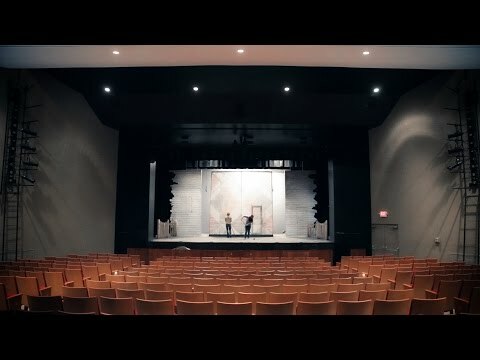 In addition to the Opera Curriculum, the Theater Department produces a fully-staged musical with full orchestra every other year, an offering that is augmented by the yearly student-produced musical. Students, also, often have the opportunity to perform in student-produced chamber operas or opera scenes. The Opera Scenes program provides performance practice for the singing actor. In the original languages, students prepare roles from opera scenes in a wide range of historical periods and theatrical styles. 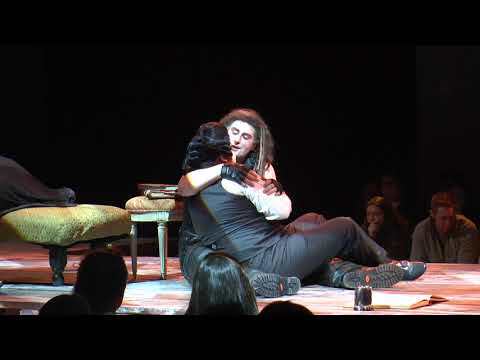 The public performance of Opera Scenes is one of the major ensemble offerings at Lawrence. The 2018 Spring performance showcased scenes from Mozart’s Così fan tutte & Die Zauberflöte, Massenet's Cendrillon, Handel's Serse, Debussy's Pelléas et Mélisande, and Sondheim's Sweeney Todd. The Fall scenes program, in English, is in a workshop format, concentrating on the building blocks of musical and dramatic training. The 2018 Fall scenes program included scenes from Mozart's Don Giovanni, Strauss' Die Fledermaus, Menotti's The Consul, and Sheik/Sater's Spring Awakening. A collaborative, ensemble environment utilizing improvisation, devised theatre techniques, and extended vocal and performing techniques, with an invited performance at the end of the term. The student will explore entrepreneurial skills as well as the responsibility of the artist to the community. In 2019, this project will be joined, again, by the Improvisation Group (IGLU) and Dance Program exploring the audience research gathered from the Lawrence and Appleton community centering on gun presence and awareness in our area. A basic opera/song performance course designed to help you toward becoming a craftsperson in your ability to create on stage. Building blocks include understanding and breaking down a script, understanding the stage and movement on it, creating and motivating character choices, response to your fellow performers, honesty on-stage, concentration, imagination, and commitment to the script, the environment, and your character. current song and aria repertoire of the individual student.